You might think that Pokemon has no business being on a blog that’s so limp wristed it’s a wonder it ever gets written, and you’d be right! Much like a last lingering feint of heterosexuality, I haven’t touched the stuff since high school, but apropos of Pokemon’s 20th anniversary (not that I’d know) (jk; I’d totally know), let’s please take a moment to revel in the fact that Pokemon Live was touring theatrical musical experience that actually existed (! ), and Andrew Rannells (!!!) was in it (!!!!!). Good golly, y’all. 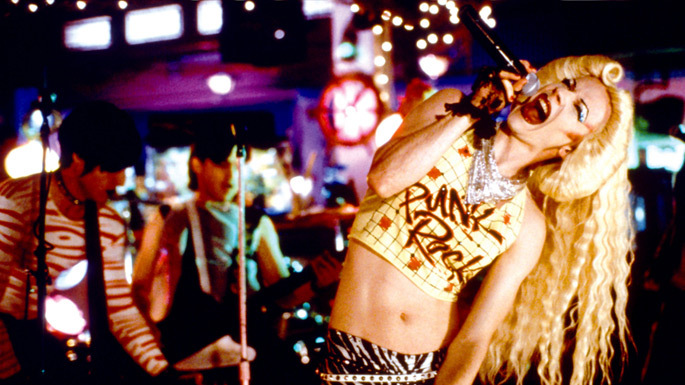 I remember the days when talk of Hedwig and the Angry Inch coming to Broadway was but a rumor that warmed the cockles of my campy, cantankerous heart. Last year it finally happened, though, and that has been the best. Neil Patrick Harris was the best; Andrew Rannells was the best; Michael C. Hall was the best; and, throughout it all, Lena Hall has definitely been the best. 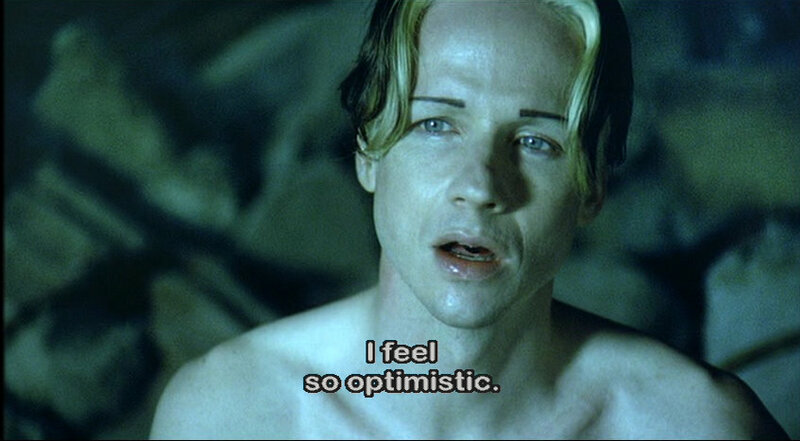 But now John Cameron Mitchell is making his triumphant return to Hedwig for an eight-week engagement, and there isn’t a grandma’s grab bag of clutchable pearls big enough to contain my emotions, so I’ll just post this still from JCM’s brilliant 2001 film adaptation and leave it at that. It’s a rare instance of restraint, for sure, but I’m wide open with emotion and don’t want to make a mess everywhere.